"As someone who spent much of my childhood on the mission field described in this book, I anticipated having my early memories refreshed by reading it. I did indeed find the book to be an accurate and thorough account of the work of the CRC China Mission as I remember it, but - more surprising - I also learned a good deal of new information. 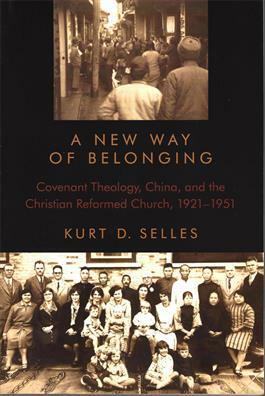 Kurt Selles has performed an important service for the history of missions by uncovering so much new information and doing such impressive research under difficult circumstances. Although the events took place more than a half-century ago, Selles has been able to retrieve a vast amount of detail. His analysis of the cross-cultural dynamics of this work is insightful. Anyone interested in the successes and failure of Christian mission should find this study interesting and informative."